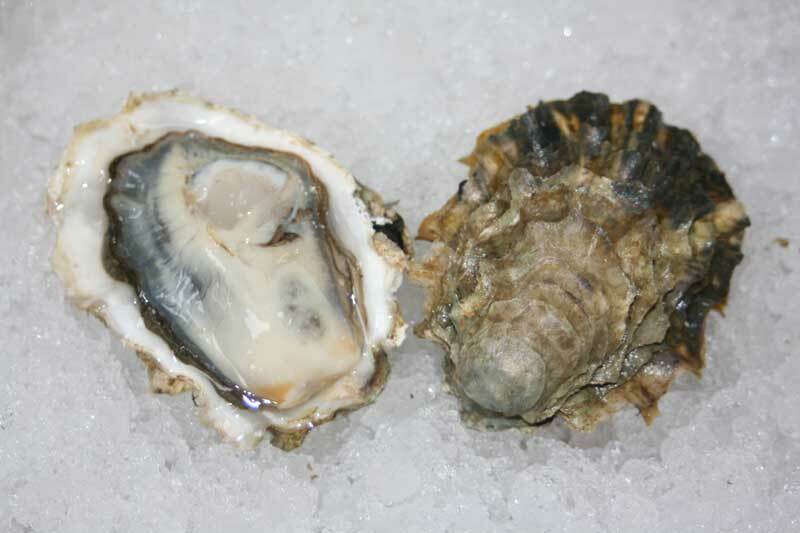 These oysters are from the southern end of Hood Canal, Washington, harvested off of Sisters Point. This is located right at "The Great Bend" where the canal turns from a roughly north/south orientation into one that is roughly east/west. They are beach grown, thick-shelled oysters from a small family run operation that takes great pride in the quality of their work. The family has been working at it for almost two decades and their oysters have developed a very good reputation. Their flavor is mild with a nice cucumbery finish and their texture is delicate. Sisters Point Oyster - Marinelli Shellfish Co.